Have you ever done one of those follow the steps art classes? 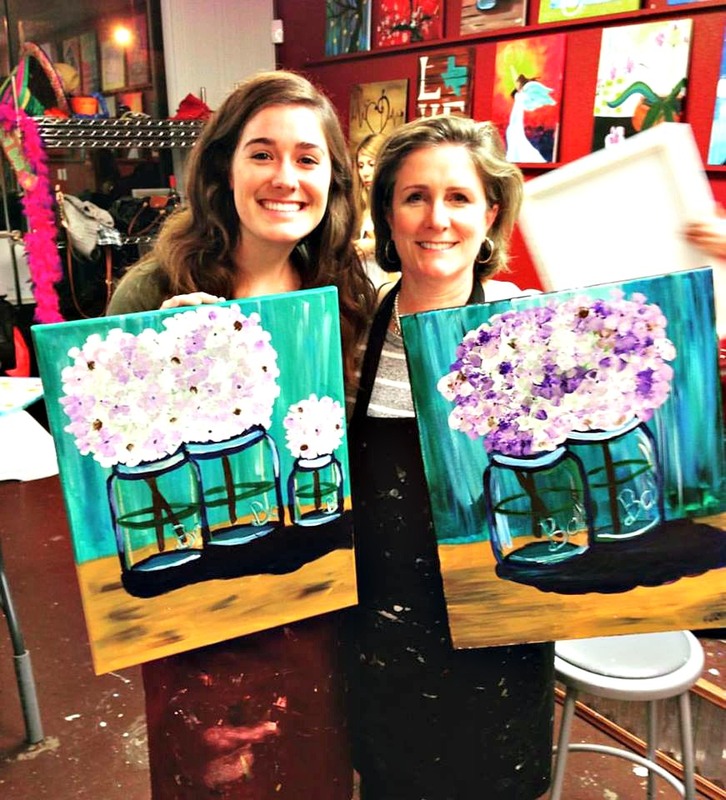 Last night my daughter and I went to Painting with a Twist with some of her college room mates and their moms. Definitely something I would do again! I have been looking for my word for 2016. I am choosing "do." It works for cleaning closets. It works for experiencing new things. It works for helping others. It works for making every moment count. I am going to try to watch less and DO more this year. I really like your artwork! Do is a fantastic word. Thanks Stacey. I just hung it up in the laundry room and it cheered that space up a lot! I love seeing the differences in your paintings! Similar yet each one unique. Very pretty! PS I love your word for 2016! Looks like you're off to a good start. Thanks Lisa. Isn't funny how two people can sit next to each other with the same supplies and directions but end up with different results. The teacher kept saying that it was fine to do your own thing with it, so my daughter added a little jar.